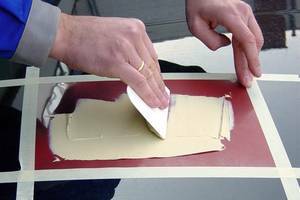 Order informations Polyester Fine Filler "styrene-free"
Highly elastic, 2-component polyester fine filler to fill small unevennesses and for the "fine-filling" of pre-treated surfaces. 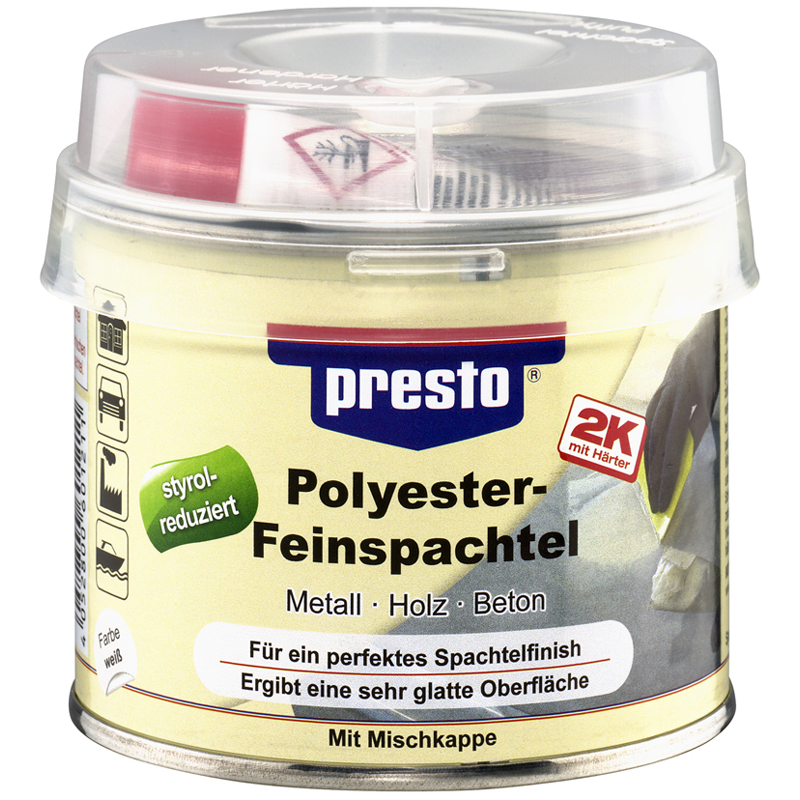 Applicable on metal, wood, concrete and on repair spots which are filled with presto Body Filler. Micro-fine filling components result in a very smooth surface. 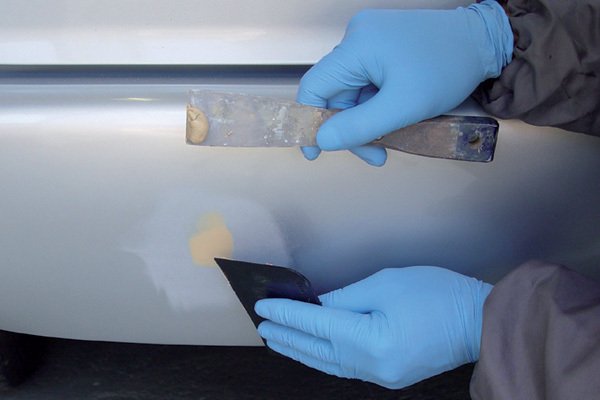 For universal use on many materials in the entire car, construction, and hobby sector.